Don’t let a couple of “fishy” reports sway you. 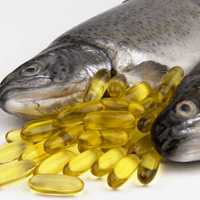 The latest news about omega-3s isn’t good – it’s great! We know more than ever about how these good fats keep your body and brain younger. That means getting a daily dose is smarter than ever. TV, newspapers, radio and online media went negative about omega-3 fatty acids twice in recent months. First, a review of brain studies said good fats don’t sharpen thinking skills. But there’s plenty of other research showing that fish oil, and especially the king of omega-3’s, DHA, is good for memory and mental sharpness – and skimping on it puts brain cells at risk. Second, a big review of heart studies concluded omega-3s don’t keep tickers in tip-top shape. But that analysis looked at people with already troubled hearts, didn’t factor in their fish oil doses, or factor out those taking heart drugs (like cholesterol-lowering statins) that may overshadow good fat’s inflammation-cooling effects. Omega-3s cool body-wide inflammation. Inflammatory chemicals in your bloodstream – spinoffs of your body’s efforts to fight infection, an immune-system overreaction, or even from belly fat – put you at risk for heart attack, stroke, diabetes, joint pain and more. But a daily dose of omega-3s turns off pro-inflammatory genes embedded in fat cells, while giving your body the building blocks it needs to produce more inflammation-cooling compounds. Good deal! Omega-3s keep your DNA young. Taking omega-3 fatty acid supplements daily keeps the protective “caps” on the ends of your DNA longer. These caps, called telomeres, get shorter with age, eventually allowing DNA to fray. That raises risk for heart disease and an early death. Omega-3s reduce free-radical damage. Rogue oxygen molecules in your body can ding your DNA in ways that increase odds for heart disease and brain decline. A regular fish-oil habit reduces this “oxidative stress” by 15 percent. Omega-3s pamper brain cells. Bumping up your DHA-omega-3 intake by just half a salmon filet per week could lower levels of brain cell-strangling beta amyloids in your bloodstream by 20 percent to 30 percent. Less in your blood means less in your brain – a good thing, since they’re responsible for the tangles around brain cells that characterize Alzheimer’s disease! Omega-3s may deliver extra protection if you’re overweight or are a smoker. Getting back to a healthy weight and kicking cigs are important, but omega-3s can help protect you from the health risks that pile on from smoking and excess body fat. Fish oil reduces the stiffness of a smoker’s arteries (that contributes to heart attack and stroke risk). If you’re extremely overweight, a daily dose of fish oil can dial down inflammation. Feast on omega-3-rich fish. Only two types of fish – salmon and wild trout – that are widely available in the U.S. and Canada are good sources of omega-3s. If you’re getting your omega-3s by eating two fist-size servings of fish per week, make sure it’s one of these. Canned salmon is one affordable way to do that. Pop the best omega-3 supplements. We recommend a daily 900 milligram DHA algal supplement (Dr. Mike heads the scientific advisory committee of one manufacturer). DHA is the most potent omega-3; from it, your body can make another type, EPA, which has heart-health benefits. Algal supplements are also great if you’re a vegetarian or don’t like fishy burps. Also, some fish oil supplements contain 30 percent palm oil (loaded with inflammation-boosting saturated fat), and algal oil doesn’t. Balance omega-3s and omega-6s. Some experts say cutting back on omega-6 fatty acids, which may increase inflammation, while increasing omega-3s is a smart balancing act. Reduce your omega-6 intake the easy way by choosing canola or olive oil instead of corn or soybean oil for cooking and drizzling over salads. 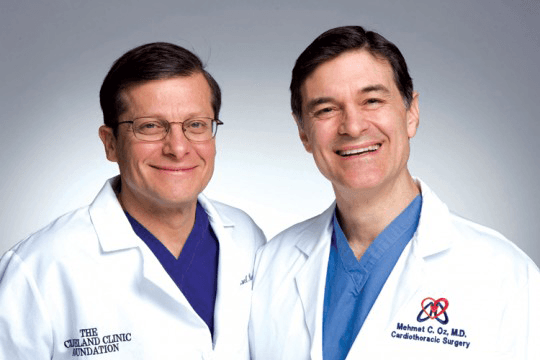 © 2012 Michael Roizen, M.D. and Mehmet Oz, M.D. Distributed by King Features Syndicate, Inc. Previous articleShould I Exercise When I Am Sick? Hey Buddy!, I found this information for you: "Don’t Believe the Fish Oil Bashing: Slash Your Risk of Heart Disease, Alzheimer’s, More". Here is the website link: https://www.thealternativedaily.com/dont-believe-the-fish-oil-bashing-slash-your-risk-of-heart-disease-alzheimers-more/. Thank you.